The story of Ibanez is one of rapid dominance and near constant reinvention. Many of us know the recent history of the company’s shred-friendly models and have owned an RG or S-Series guitar in our time. 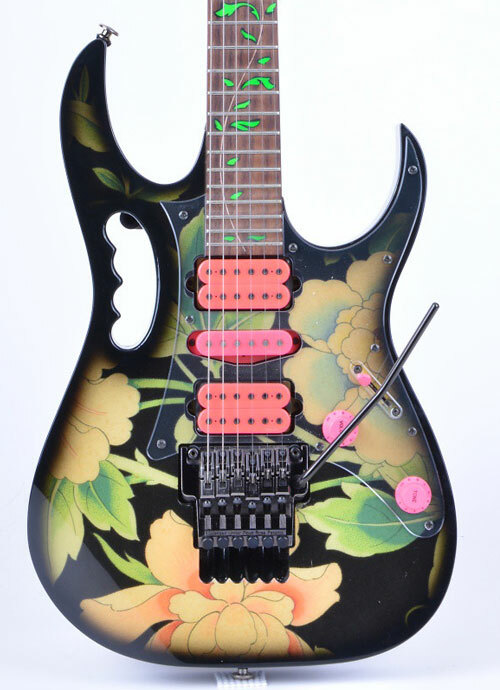 However, the Ibanez story starts much earlier, in 1908, with a company called Hoshino Gakki, a sheet music and music-products distributor in Nagoya, Japan. 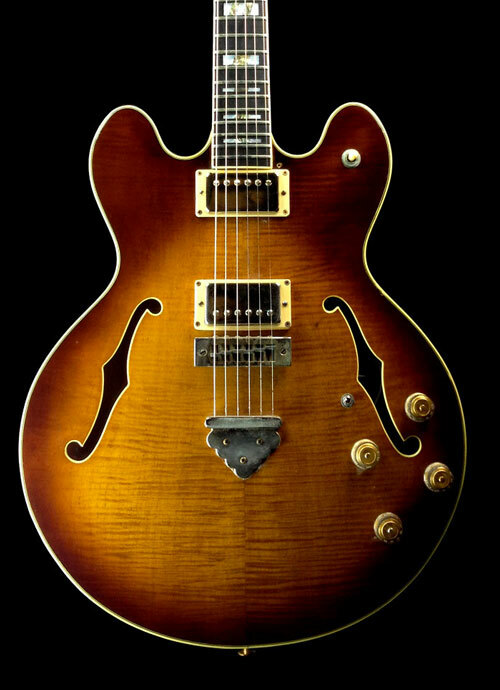 Ibanez started in the guitar business by importing high-end classical guitars, originally made by the renowned Spanish guitar builder Salvador Ibáñez, for sale in Japan in the late ‘20s. 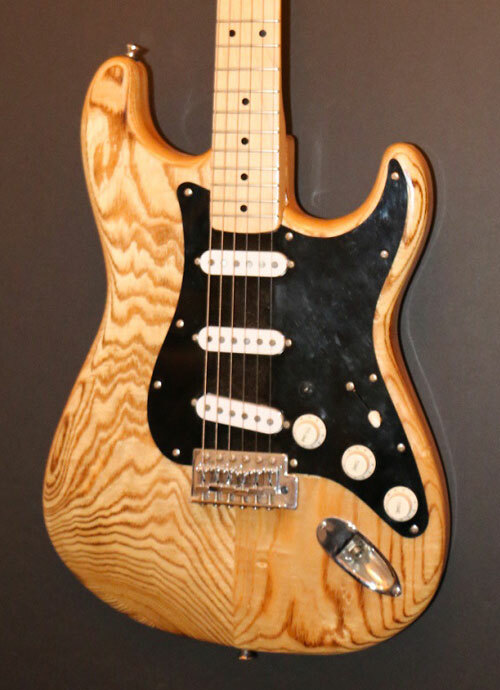 The company switched to making guitars in the 1930s, adopting the name of the well-respected maker. 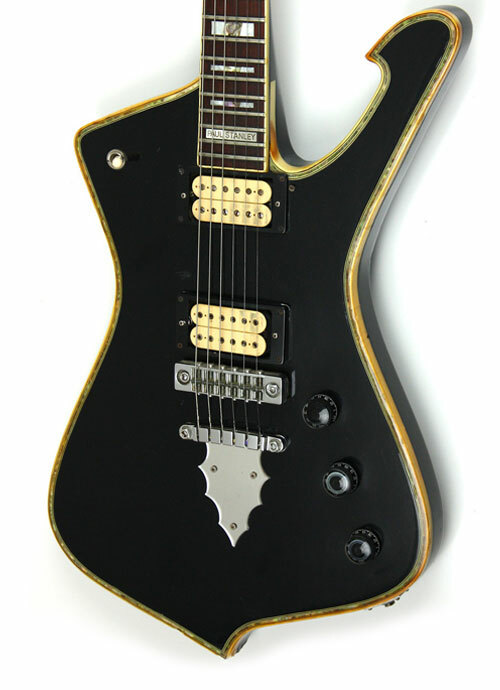 With the advent of rock ‘n’ roll, the company began building budget guitars designed for export. These early low-quality entry-level guitars looked odd and were typical of those found in department stores and catalogs. 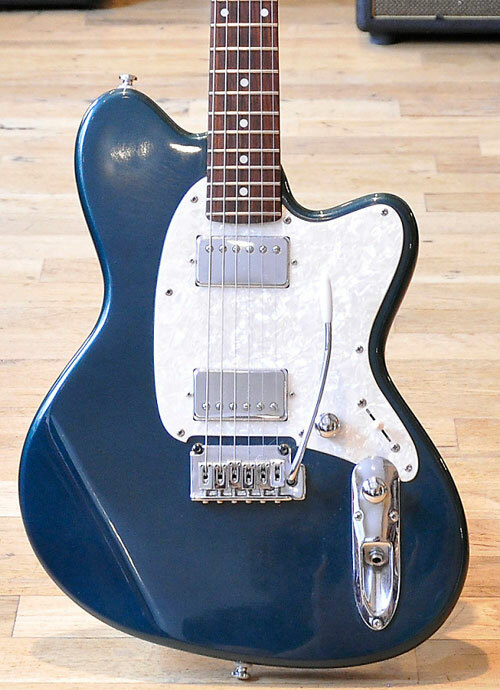 Ibanez hit American guitar buyers’ radar in the late 1960s and ‘70s when the company shifted production away from low-quality original designs to high-quality replicas of famous Fenders, Gibsons and other iconic American brands. 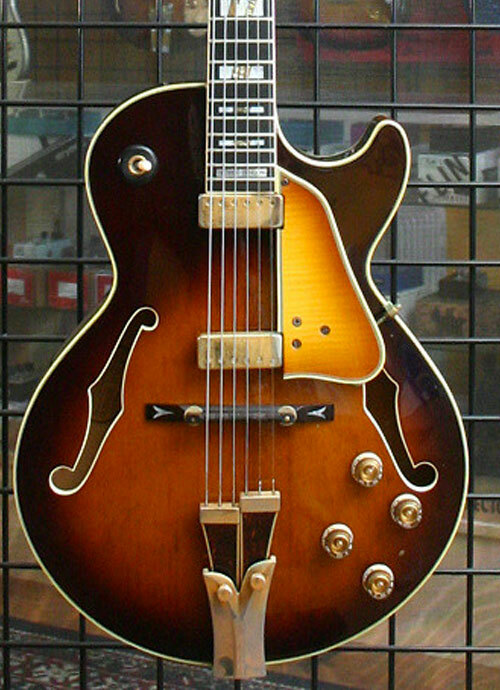 The increase in Ibanez's quality coincided with the declining build quality from U.S. guitar makers and decreasing demand, which accompanied the disco era. Gibson's parent company, Norlin, finally brought “the lawsuit” against Hoshino, essentially suing for trademark infringement over the shape of guitar headstock designs. The suit was settled out of court in 1978. 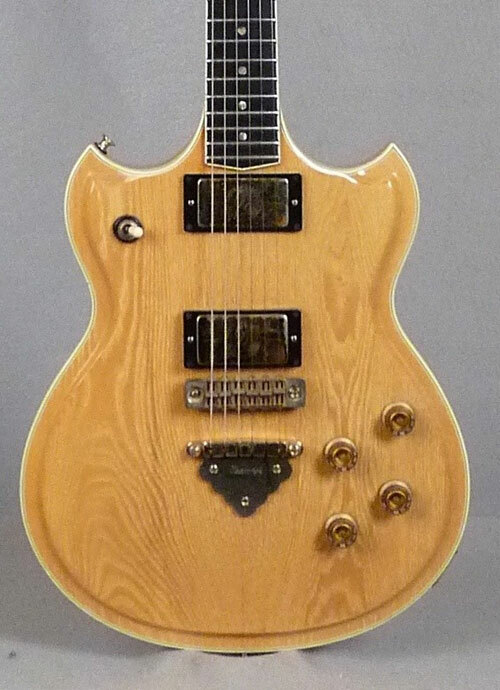 By that time, guitar buyers already were aware of the high quality and comparatively low-cost guitars offered by Ibanez, and many high-profile players already had adopted Ibanez's emerging original designs, such as the Grateful Dead’s Bob Weir and the Artist model, and Kiss’ Paul Stanley and the Iceman, and George Benson’s signature models. With these artist approvals, Ibanez abandoned copies and started marketing original designs exclusively. The 1980s saw a huge shift in guitar-driven music, and the traditional designs of Gibson and Fender felt limited to players who wanted more speed and playability. With Edward Van Halen popularizing the Frankenstein Fat Strat and Floyd Rose vibrato system, Ibanez filled the void left by traditional manufacturers. 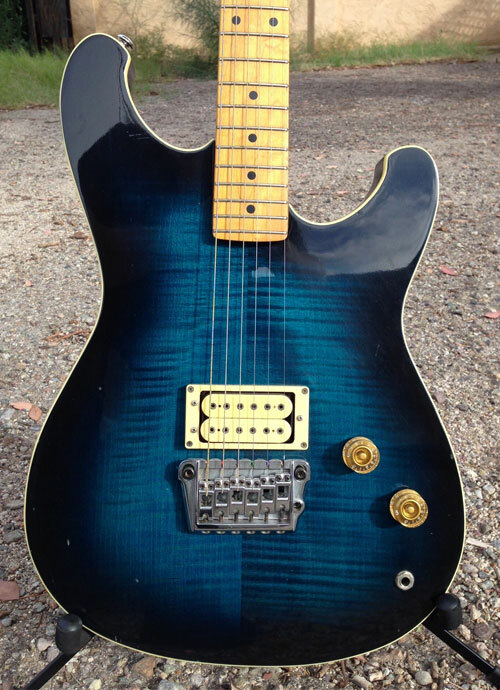 Ibanez’s Saber and Roadstar guitars, which later become the S and RG series, sported the features that players demanded: high-output pickups, floating double-locking trems, thin necks and deep cutaways. 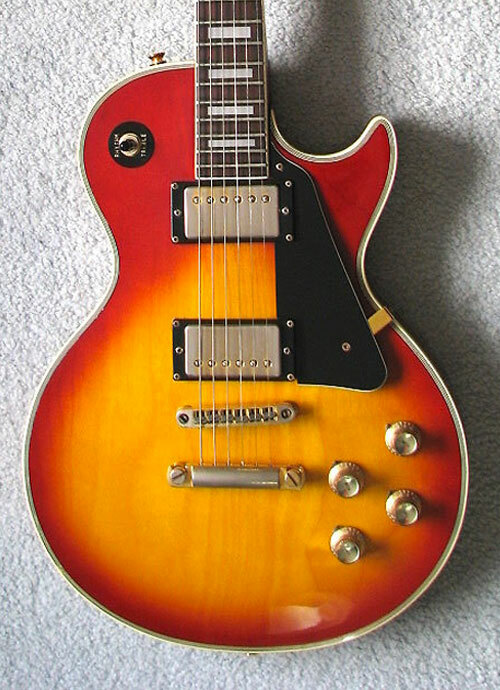 High profile endorsers also were allowed to spec completely original models, a move very rare in guitar production. 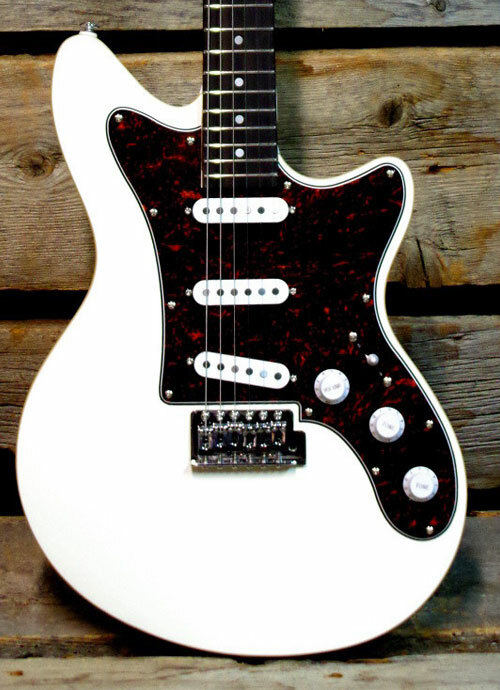 Steve Vai and Joe Satriani were able to create very popular models that were driven by artist needs, not marketing men, which made Ibanez unique in the field. Ibanez also was very quick to endorse other new shredders of the time, like Paul Gilbert of Mr. Big. and Racer X, and jazz players, including Frank Gambale of the Chick Corea Elektric Band and Return to Forever, Pat Metheny and George Benson. As popular tastes evolved in the 2000s from Grunge to Nu-Metal, Ibanez remained relevant as dropped tunings, which the over-engineered Ibanez guitars handle well, became a stylistic foundation for a new generation of players. 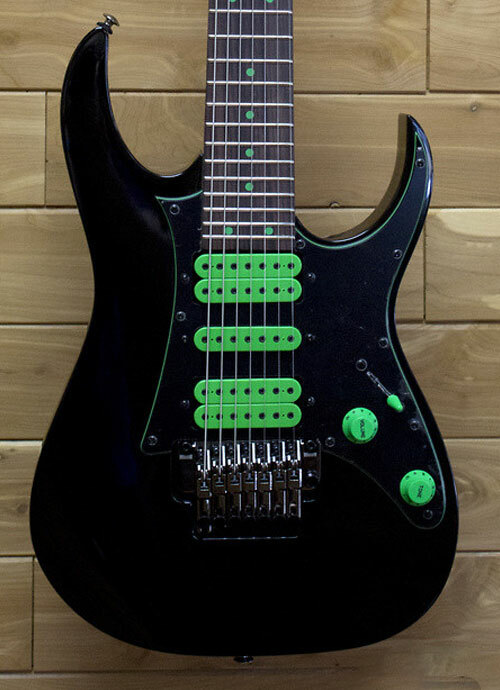 Plus, the rediscovery of 7-string Universe models, such as the Steve Vai signature from years earlier, made Ibanez the most suitable guitar for the most popular bands of the time: Korn and Limp Bizkit. These bands popularized Ibanez to a younger generation who were unfazed by an additional string. The surge of 7-string popularity led to every maker creating their own models, at all price points, just as fast as possible. 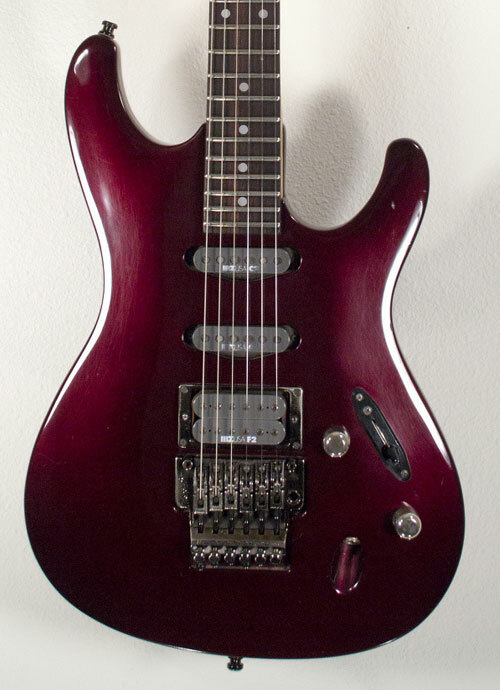 Ibanez’s head start led to a huge share of the Nu-Metal market, and cemented its status as a major player in instrument production. Ibanez’s strength springs from the company’s ability to produce innovative models, respond to changing musical genres and recruit new players. 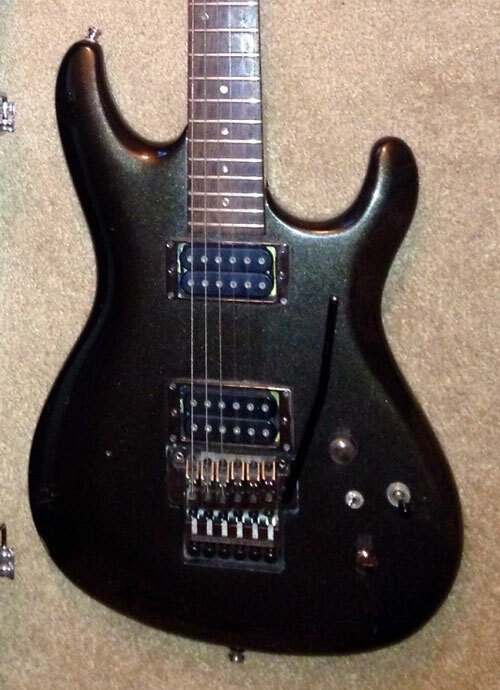 Ibanez continued to pick up endorsers in diverse styles, such as Andy Timmons, of Danger Danger and Pawn Kings, Noodles of The Offspring, and jazzer John Scofield, while adding metal and experimental players, such as Tosin Abasi from Animals as Leaders, Mick Thomson of Slipknot, and Herman Li of DragonForce. These new players have led Ibanez to pioneer the concept of “Extended Range Instruments,” with longer scales and fanned frets, more suited to drop tuning. Ibanez also has made affordable 8-string models that rapidly are gaining popularity, and 9-string production models that soon will be introduced. While Ibanez more recently made its name in the metal genre, the company is a fierce competitor in the more-traditional guitar and bass markets. 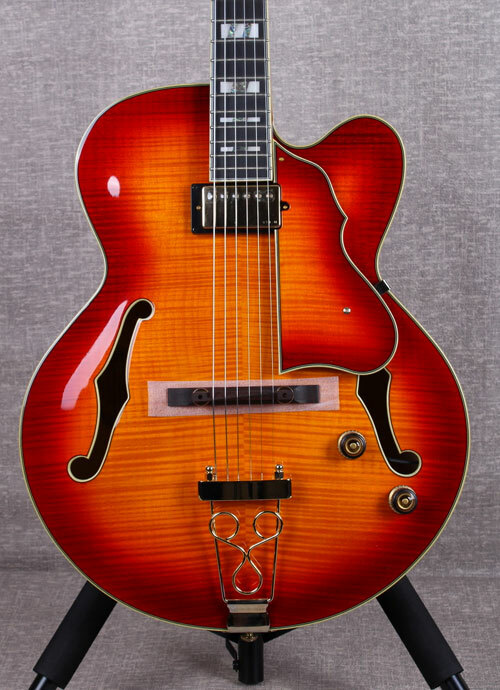 The Artcore and Artstar series of fully-hollow and semi-hollow instruments are the main competition to the more classically shaped budget models of Epiphone and Gretsch. 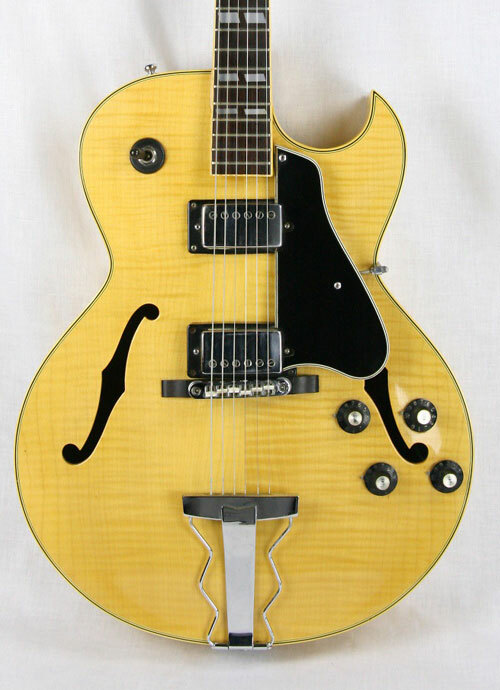 Ibanez also produces models at comparable quality and price points between Epiphone and Gibson; the Ibanez AS and AF series compare well to ES-335 and ES-175 style guitars, for example. 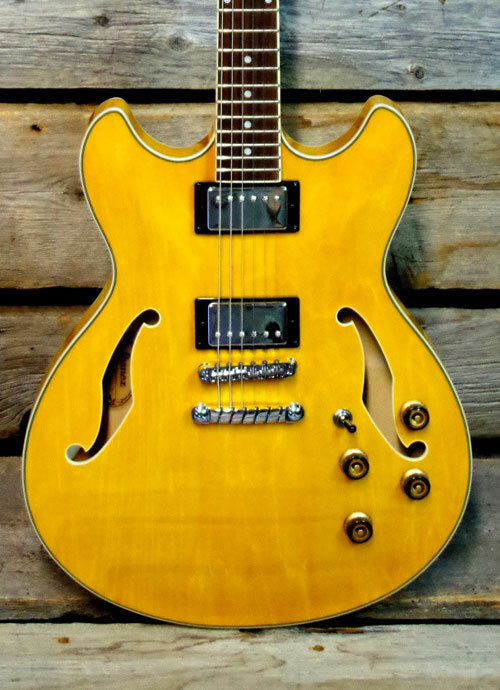 Ibanez also has built a cult following with the Talman, of which Noodles of The Offspring and the Bob's of Devo are devoted fans. 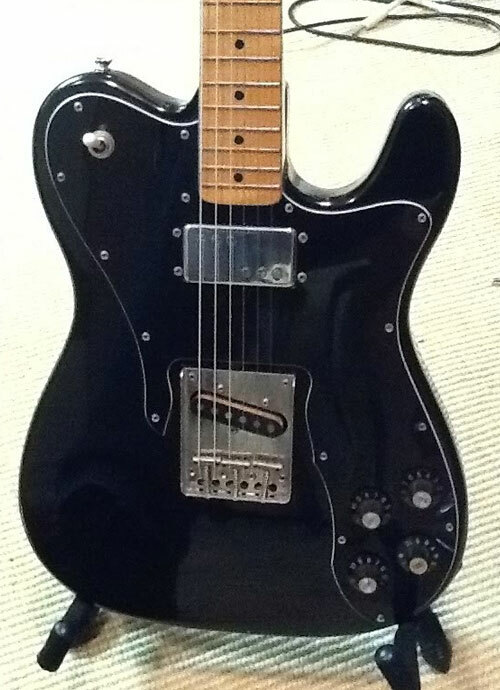 The Talman and Roadcore models appropriate the curves of classic Fender offset models, but perhaps with wiser pickup choices. While these models may recall those from the lawsuit era, they also show Ibanez's willingness to cater to a wide base of players. Not to neglect basses, Ibanez produces genre blurring basses from big body hollow examples to fan-fretted active models. Ibanez has become an industry leader by never being afraid to innovate and collaborate with artists to make a more user friendly guitars. Also, by making guitars and basses for all genres and price points, Ibanez has been able to offer options to players at any skill level. 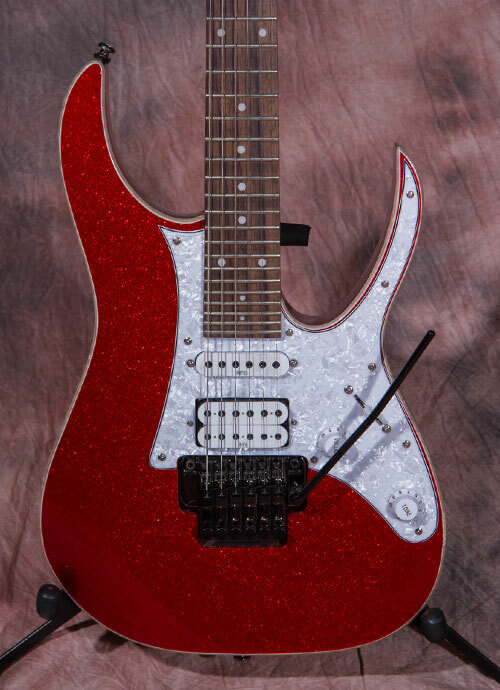 The company’s ability and willingness to constantly study the market and respond with new models and features has enabled Ibanez to grow and dominate like few other makers. What are your favorite Ibanez models? What endorsers made you notice Ibanez for the first time?